Saturday, September 8th. 2:30 p.m. - 5:30 p.m. I am delighted to bring you this workshop where we will create pigs in watercolor paint. 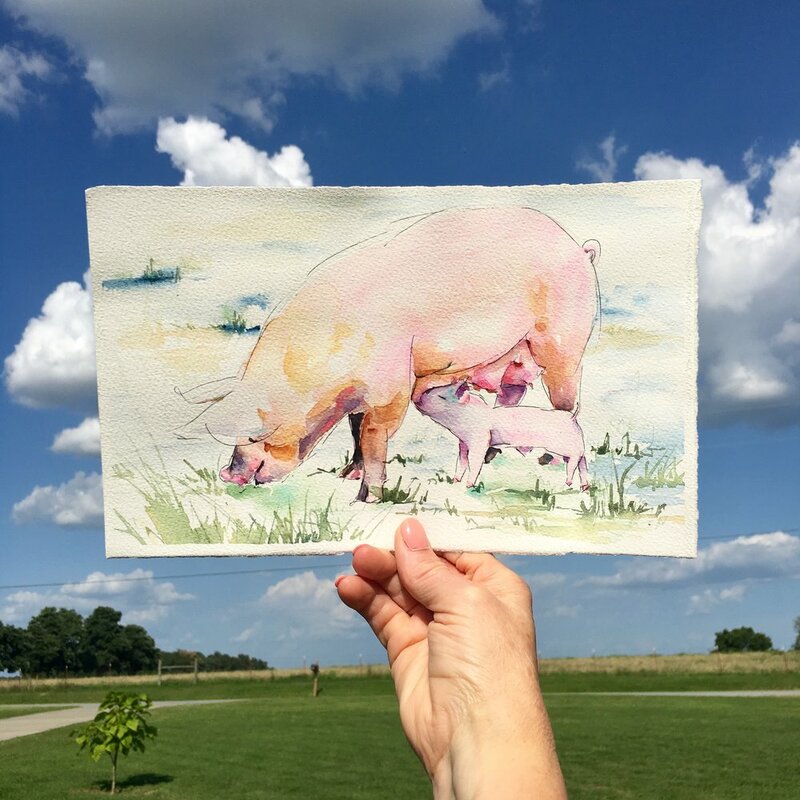 Practice Basic watercolor techniques to create a pig painting of your choice. Beth will have several options for you to choose from.